all happening on March 17 unless otherwise noted. Bainbridge Brewery Annual St. Paddy’s Day Party 3/17. Other St. Paddy’s Communities Events – all happening on March 17 unless otherwise noted. Olalla Vineyard – 3/16 – St. Patrick’s Day PARTY featuring our favorite Irishman Reid Jamieson and his saucy wife Carolyn. Downtown Manette St. Paddy’s Day Parade – Join us at the Manette Saloon at 3 PM and march with us our annual Saint Patrick’s Day parade down 11th and then stay to hang out and celebrate the day. Bremerton’s 27th St. Patrick’s Day Starts at 9:00 am. Parade starts at 11 am on 6th and Pacific. Anyone may walk in the parade or watch all the fun for free! Dance and celebrate the luck of the Irish and kiss the blarney stone! Admiral Theatre – Experience the Irish dance phenomenon that is sweeping the country, Rhythm in the Night, The Irish Dance Spectacular, as it visits Bremerton in spring 2018 on their ‘5th Anniversary Tour’! Doors 6 p.m. | Show 7:30 p.m.
Bremerton Symphony Orchestra – 2 pm – St Patrick’s Day for a Celtic themed concert that’s sure to wow! The symphony will be joined by acclaimed guest violin soloist Sophie Lee. Celtic Music at the Roxy Theatre – Bremerton – The Gothard Sisters. One of the most celebrated acts in Celtic music today. Sisters Greta, Willow, and Solana Gothard create an irresistible blend of violin and fiddle, acoustic guitar, stunning vocal harmonies and the powerful rhythms of the Irish Bodhran. WEEKEND GETAWAY – A perfect time to use those unused vacations days or get some relief from the urban scene. Or if you live here, a great time to invite friends from “the other side” and tour of local craft brewers, play some games, eat and drink. 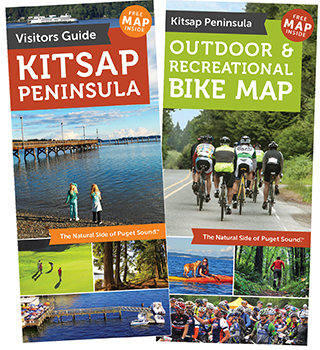 Our our handy Kitsap Peninsula Craft Breweries Google Map make it easy to hit all the stops. Click here to find lots of lucky lodging ideas. Pets and children welcome!